Not to be confused with Carl Edwards Jr..
For the stained glass designer with a similar name, see Carl Johannes Edwards. Statistics current as of November 20, 2016. Stock car racing is a form of automobile racing found mainly and most prominently in the United States and Canada, with Australia, New Zealand, Great Britain and Brazil also having forms of stock car auto racing. Traditionally, races are run on oval tracks measuring approximately 0.25 to 2.66 miles. The world's largest governing body for stock car racing is the American NASCAR, and its Monster Energy NASCAR Cup Series is the premier top level series of professional stock car racing. Top level races typically range between 200 to 600 miles in length. The cars were originally production models, but are now highly modified. The Toyota Camry is an automobile sold internationally by the Japanese manufacturer Toyota since 1982, spanning multiple generations. Originally compact in size (narrow-body), later Camry models have grown to fit the mid-size classification (wide-body)—although the two sizes co-existed in the 1990s. Since the release of the wide-bodied versions, Camry has been extolled by Toyota as the firm's second "world car" after the Corolla. In Japan, Camry is exclusive to Toyota Corolla Store retail dealerships. Narrow-body cars also spawned a rebadged sibling in Japan, the Toyota Vista (トヨタ・ビスタ)—also introduced in 1982 and sold at Toyota Vista Store locations. Diesel fuel versions have previously retailed at Toyota Diesel Store. Joe Gibbs Racing (JGR) is an American professional stock car racing organization owned and operated by former Washington Redskins coach Joe Gibbs, which first started racing on the NASCAR circuit in 1991. His son, J. D. Gibbs, ran the team with him until his death in 2019. Headquartered in Huntersville, North Carolina, roughly 10 miles (16 km) northwest of Charlotte Motor Speedway, the team has amassed four Cup Series championships since the year 2000. 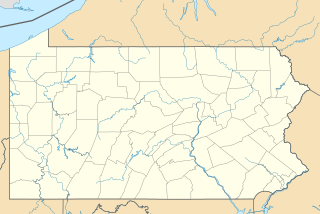 Columbia is a city in the U.S. state of Missouri. It is the county seat of Boone County and home to the University of Missouri. Founded in 1821, it is the principal city of the five-county Columbia metropolitan area. It is Missouri's fourth most-populous and fastest growing city, with an estimated 121,717 residents in 2017. Rock Bridge High School is a public high school located in southern Columbia, Missouri. The school serves grades 9 through 12 and is one of four High Schools in Columbia Public Schools. It is located next to the Columbia Career Center. The mascot is the Bruin Bear. The University of Missouri is a public, land-grant research university in Columbia, Missouri. It was founded in 1839 as the first public institution of higher education west of the Mississippi River. The state's largest university, it enrolled 30,870 students in 2017 and offered over 300 degree programs in 21 academic divisions. It is the flagship campus of the University of Missouri System, which also has campuses in Kansas City, Rolla, and St. Louis. There are more than 300,000 MU alumni living worldwide with over one half residing in Missouri. Edwards' big break came in 2002, when he competed in 7 NASCAR Craftsman Truck Series events for MB Motorsports. His best finish in the seven races was 8th at Kansas Speedway. He also ran one Busch Series race for Bost Motorsports, finishing 38th at Gateway International Raceway. However, it was enough to impress Jack Roush, and Edwards became a full-time Truck Series competitor for Roush Racing in 2003, driving the No. 99 Ford F-150, and won his first race at Kentucky. He won Rookie-of-the-Year honors in addition to three race wins, eventually finishing 8th in the points standings at the end of the season. In 2004, he notched three more race wins, including the season-opening Florida Dodge Dealers 250 at the Daytona International Speedway. At season's end, Edwards finished 4th in the points. In August 2004, he made his Nextel Cup Series debut, replacing Jeff Burton, who left the team, in the No. 99 Ford Taurus for Roush Racing, at the Michigan International Speedway. He finished 10th. He drove the No. 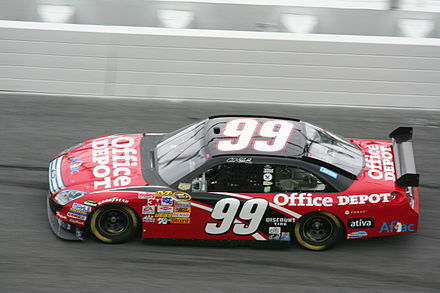 99 Ford for the remainder of the 2004 Nextel Cup. He also once again ran one Busch Series race; this time for Bobby Benton's RAB Racing team at Bristol Motor Speedway. MB Motorsports is an American professional stock car racing that currently competes in the NASCAR Camping World Truck Series. The team based in Foristell, Missouri, owned by Mike Mittler. The team is one of few to field entries every year since the Series' inception in 1995. The team currently fields the No. 63 Chevrolet Silverado part-time for various drivers. The team has formed partnerships with Young's Motorsports, Norm Benning Racing and Copp Motorsports at various points. Kansas Speedway is a 1.5-mile (2.4 km) tri-oval race track in Kansas City, Kansas. It was built in 2001 and it currently hosts two annual NASCAR race weekends. The IndyCar Series also held races at the venue until 2011. The speedway is owned and operated by the International Speedway Corporation. Bost Motorsports is a former NASCAR Busch Series team. It was owned by Danny Bost and driven by a variety of drivers. Atlanta Motor Speedway is a 1.5-mile oval racetrack in Hampton, Georgia, United States, 20 miles (32 km) south of Atlanta. It has annually hosted NASCAR Cup Series stock car races since its inauguration in 1960. Hampton is a city in southwestern Henry County, Georgia, United States. As of the 2010 census, the city had a population of 6,987, up from 3,857 at the 2000 census. By 2015 the estimated population was 7,372. "Hampton" mailing addresses outside the city limits reach into rural parts of eastern Clayton County and northern Spalding County. It is a southeastern suburb in the Atlanta metropolitan area. Jimmie Kenneth Johnson is an American professional stock car racing driver and a seven-time champion in the Monster Energy NASCAR Cup Series. He currently competes full-time in the Monster Energy NASCAR Cup Series, driving the No. 48 Chevrolet Camaro ZL1 for Hendrick Motorsports. The Pocono 400 is a Monster Energy NASCAR Cup Series stock car race held annually at Pocono Raceway in Long Pond, Pennsylvania. The race is the first of two NASCAR Cup Series races at Pocono Raceway, with the other being the Gander Outdoors 400. First held as a 500-mile (800 km) race during the 1982 season, it served as a replacement for the 400-mile (640 km) race at Texas World Speedway. Starting in 2012, the race distance was reduced to 400 miles. Pocono Raceway also known as The Tricky Triangle, is a superspeedway located in the Pocono Mountains in Long Pond, Pennsylvania. It is the site of two annual Monster Energy NASCAR Cup Series races held several weeks apart in early June and late July, one NASCAR Xfinity Series event in early June, one NASCAR Gander Outdoors Truck Series event in late July, and two ARCA Racing Series events, one in early June and the other in late July. From 1971 to 1989, and since 2013, the track has also hosted an Indy Car race, currently sanctioned by the IndyCar Series and run in August. Edwards got his fourth win, at Texas, and became the tenth different driver to win at that track, and the fifth to win there for Roush Racing. By finishing the remainder of the 2004 season in the Nextel No. 99 car, he was not eligible to compete for the 2005 Rookie of the Year in Nextel Cup, but did win the 2005 Busch Series Rookie of the Year. The 2005 season saw Carl Edwards becoming the second driver in NASCAR history to win the most races in his first ever winning season with 4. He is one of only 2 drivers to accomplish this feat, along with Kurt Busch, who did it 3 years prior in 2002. Kurt Thomas Busch, is an American professional stock car racing driver. He currently competes full-time in the Monster Energy NASCAR Cup Series, driving the No. 1 Chevrolet Camaro ZL1 for Chip Ganassi Racing. He is the 2004 NASCAR Nextel Cup Series champion. He is the older brother of 2015 NASCAR Sprint Cup Series champion Kyle Busch. The brothers are second-generation racing drivers; their father, Tom, won several NASCAR-sanctioned events. In 2006, Edwards and Roush Fenway Racing struggled to keep up with the competition. Edwards did not win a race in 2006. His best finishes came at Michigan, Loudon, and Dover in the fall where he finished 2nd. At the Chevy Rock and Roll 400 in Richmond, he missed the chase by getting wrecked and finished 35th three laps down. Following the Las Vegas win, on March 5, 2008, NASCAR penalized Edwards, owner Jack Roush, and crew chief Bob Osborne for violations found in post-race inspection. The No. 99 car driven by Edwards was found to be in violation of sections 12-4-A, 12-4-Q, and 20–2.1J of the 2008 NASCAR rulebook, specifically, the cover was off the oil tank. The violations were found during post-race inspection at Las Vegas Motor Speedway on March 2. The following penalties were levied by NASCAR: Edwards was fined 100 driver points and stripped his 10 bonus points for the Las Vegas win which would be used to seed him in the Chase for Championship (should he make the Chase). Roush was fined 100 owner points and Osborne was suspended for six races and fined $100,000. Edwards was leading the Kobalt Tools 500 looking for his third consecutive victory, but on lap 274 his car began to smoke and his crew diagnosed the problem as a broken transmission. Edwards went on to finish 42nd. On April 7, he won the Samsung 500 at Texas Motor Speedway for his third win of the season. Heading into the 2009 NASCAR Sprint Cup Season, Many media analysts expected Edwards to challenge Johnson for the championship. He had a far more successful Nationwide Series season than Sprint Cup Series season, including a win at the NAPA 200 at Montreal. In the race Edwards had a top-ten position until a final green-white-checker finish put him in third spot on the restart. Edwards passed Andrew Ranger for second and recovered from spinning his tires on the restart to catch up with dominant leader Marcos Ambrose. Edwards was unable to pass the Australian champion until the final turn of the final lap when Ambrose jumped over the curb too high. Edwards passed him and won the race in a big shock to the racing world; a finish considered to be one of the greatest of the sport. Edwards was elated about getting his first road course win at one of the most famous tracks in the world; has said that the Montreal race is his favorite winning performance, and that Marcos had chatted with him that week and taught him about the track during meetings which he credited for his success. He experienced another winless season in 2009 as his best finish was second at Pocono Raceway. Although Kyle Busch won the Nationwide Series championship, Edwards finished second in the series and scored five wins, finishing 210 points behind the winner. Edwards won the first-ever Nationwide Series race at Road America in late June. He followed that up with a controversial win at the first Nationwide race of the season at Gateway, turning Brad Keselowski coming off the final turn to win the race. He won his third Nationwide race of the year at Texas Motor Speedway after dominating the race and a late race restart where he was accused of jumping the start by Kyle Busch. He would finish the season 2nd in points for the third year a in a row. Edwards' season was a slow start in 2010. Going into Daytona in July, he was in danger of missing the chase while barely running in the top 12 in points. The whole Roush Fenway team marks Chicagoland as the turning around point for the organization, where Edwards would finish 2nd to David Reutimann. Edwards performance increased from this point, with him winning the pole at Watkins Glen and Richmond, and leading laps at Atlanta and Richmond. On March 6, 2011, Edwards won the Kobalt Tools 400 at Las Vegas, his only points win of 2011. On May 21, 2011, he won the NASCAR Sprint All-Star Race. On August 4, 2011, Edwards re-signed with Roush Fenway Racing to continue driving his No. 99 Ford Fusion. The deal was reportedly worth over $40 million, with Ford talking Edwards into sticking with Roush Fenway Racing for the rest of his career. It was rumored for many months that Edwards would go over to Joe Gibbs Racing to take over the No. 20 Toyota Camry then driven by Joey Logano. Joe Gibbs was rumored to have offered Edwards an $8 million deal a year with a $10 million signing bonus. At Texas, Edwards ran well, until he made an unscheduled pit stop to check the lug on the car, sending him back to 30th, but was able to charge through over a course of 234 laps to finish 8th. In the 2013 Daytona 500, Edwards was caught in a crash in turn one after Trevor Bayne slid, and Edwards was sent into the wall. Edwards led the most laps the following week at Phoenix and prevailed late, the second time he broke a 70-race winless streak at the short track. On July 6, 2013, at the 2013 Coke Zero 400 he had a good run until turn 2 on the last lap. He got pushed up the track by Marcos Ambrose and created a mini-pileup, putting Edwards at the end of the lead lap. The caution did not fly. The next week, he was 11th most of the day and finished 8th at the 2013 Camping World RV Sales 301. Though Edwards finished 11th at Chicago and 9th at New Hampshire to start the Chase, his Chase chances were ended with a 35th-place finish at Dover caused by an ill-handling car. He then had a fifth-place finish at Kansas, 10th place at Charlotte, a 17th place at Talladega, and 12th place at Martinsville. At Texas, Edwards started on pole and battled Jimmie Johnson for the lead on several restarts, before his engine blew up and he finished 37th. At Phoenix, Edwards and Johnson nearly wrecked each other in turn 1 mid-race but both cars continued on. Edwards ran out of gas with 2 laps left leading. Edwards finished 21st. He ended the season with a 12th-place finish at Homestead, and a 13th-place finish in the final points standings. Weeks later Edwards nearly won the All-Star Race for a second time after starting on pole. However, he was edged by Jamie McMurray for the win as McMurray passed him with 8 laps to go to win the $1m purse. In a post race interview Edwards said "I'm disappointed but Jamie did a good job on the restart. He cleared me and beat me fair and square. My hats off to him. I wish I won but I was just beaten." On June 22, 2014, Edwards led the final 19 laps of the 2014 Toyota/Save Mart 350 at Sonoma for his 23rd career NSCS win, his first road course win of his career and his second win of 2014. Carl began his season on a low-note, wrecking in the ending of the Daytona 500 and losing the draft late in the race in Atlanta. He rebounded at Las Vegas with a terrific run. While running close to the lead and leading a couple laps, Edwards tangled with Kasey Kahne with less than 20 laps to go. Edwards — while moving under Kahne —knocked Kahne into the SAFER barrier. In an apparent act of retaliation, Kahne forced Edwards out of the draft, wrecking Edwards and himself. Despite the payback, Edwards took responsibility for the collision stating: "I was just racing as hard as I can. It's completely my fault, Kasey did a good job. I just got sucked up into him there off of turn 4 and tore up the right side a little bit and got loose into Turn 1 and that was it. ... That's definitely my fault. I feel bad for Kasey." In the Coca-Cola 600 at Charlotte, Edwards took the lead early in the race, fell back, but managed to regain the lead close to the end, and held off former teammate Greg Biffle to win his 24th career win, snapping a 31-race winless streak. In July, he won the pole position for both the 5-hour Energy 301 at New Hampshire and the Brickyard 400 at Indianapolis. At Darlington, Edwards took his second win of the year after rallying back from being two laps down to the leaders. In the Challenger Round of the Chase, Edwards started with a second-place finish at Chicagoland coming back from a speeding penalty. At New Hampshire, he won the pole position, led 19 laps, and finished fifth. At Dover, Edwards started third and finished 15th. He was eliminated in the Round of 8, but finished 5th in points. Edwards parted ways with crew chief Darian Grubb after the 2015 season ended. Dave Rogers was tabbed as his new crew chief. Edwards showed strength with his new crew chief, evident when he brought home several top tens. Edwards dominated the final laps of the 2016 Food City 500 to win the race after starting on pole. He also dominated nearly the whole race as he led 276 of 500 laps, holding off Dale Earnhardt Jr. and Kurt Busch on 4 restarts to win the race. On the final lap at Richmond, Edwards won the race after making a last-lap pass on teammate Kyle Busch, by moving him up the race track. He became the first driver to make a last lap pass in Richmond Speedway's history. This elevated him from 6th in the standings to 3rd. Carl would qualify for the chase and win a rain shortened race at Texas to clinch a spot in the final four. Because the race was shortened by rain, Edwards did not do his signature back-flip. In the final race at Homestead-Miami speedway, he was hooked by championship rival Joey Logano on a 10 lap to go restart, which ended his championship hopes. Edwards participated in the 2008 Race of Champions, partnered with Tanner Foust. While in the individual event Edwards faced 7-time Formula One Champion Michael Schumacher and defeated him. In the next round, however, Edwards was defeated by eventual runner-up David Coulthard. He played in the annual Taco Bell All-Star Legends and Celebrity Softball Game in 2009 at Busch Stadium in St. Louis. During the game he sported a Boston Red Sox cap because of the affiliation his race team Roush Fenway Racing has to the owners of the Boston Red Sox. In 2015, Edwards was a NASCAR on NBC guest analyst for the Xfinity Series race at Richmond. In 2016, Edwards was a Fox NASCAR guest analyst for the Xfinity Series race at Texas. Edwards would give a business card to other teams for his services before getting a ride with Roush Racing. Off the track, Edwards has been busy promoting his new record label, Back40 Records, a company he started with a high school friend back in Columbia, Missouri. During the week of the Auto Club 500, Edwards participated in taping of the Fox television series 24 , where he played Homeland Security Agent Jim Hill. Edwards was raised a Christian but refuses to talk about religion publicly and refuses to answer religion-connected questions when interviewed. Edwards and Katherine "Kate" Downey were married January 3, 2009. The couple have two children, Michael and Anne. † – Qualified for Hank Parker, Jr.
1 Ineligible for series championship points. Matthew Roy Kenseth is an American former professional stock car racing driver. He last competed part-time in the Monster Energy NASCAR Cup Series, driving the No. 6 Ford Fusion for Roush Fenway Racing. He had stepped away from full-time racing after the 2017 season after a career racing for Roush Fenway Racing and Joe Gibbs Racing. Kasey Kenneth Kahne is an American dirt track racing driver and former professional stock car racing driver. 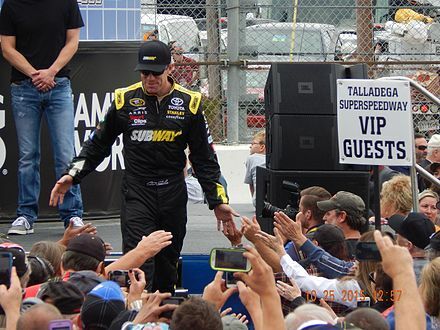 He last competed in the Monster Energy NASCAR Cup Series in 2018; driving the No. 95 Chevrolet Camaro ZL1 for Leavine Family Racing. Kyle Thomas Busch, nicknamed Rowdy, is an American professional stock car racing driver and team owner. He currently competes full-time in the Monster Energy NASCAR Cup Series, driving the No. 18 Toyota Camry for Joe Gibbs Racing, part-time in the NASCAR Xfinity Series, driving the No. 18 Toyota Supra for JGR, and part-time in the NASCAR Gander Outdoors Truck Series, driving the No. 51 Toyota Tundra for Kyle Busch Motorsports. KBM runs multiple trucks in the Truck Series and a Super Late Model team. Busch is the 2009 NASCAR Nationwide Series champion and the 2015 NASCAR Sprint Cup Series champion. The 2005 NASCAR Nextel Cup Series was the 57th season of professional stock car racing in the United States and the 34th modern-era Cup series. The season began on Saturday, February 12. The ten race Chase for the Nextel Cup started with the Sylvania 300 on Sunday, September 18, and ended on Sunday, November 20, with the Ford 400. Martin Lee Truex Jr. is an American professional stock car racing driver. He currently competes full-time in the Monster Energy NASCAR Cup Series, driving the No. 19 Toyota Camry for Joe Gibbs Racing. He is the 2017 Monster Energy NASCAR Cup Series champion and a two-time NASCAR Xfinity Series champion; having won the title in 2004 and 2005. His younger brother, Ryan, is a champion in the NASCAR K&N Pro Series East division and currently races in the Xfinity Series, while his cousin Curtis raced for JR Motorsports. Jeffrey Tyler Burton, nicknamed "The Mayor", is an American former professional stock car racing driver and current racing commentator. He scored 21 career victories in the Monster Energy NASCAR Cup Series, including two Coca-Cola 600s in 1999 and 2001 and the 1999 Southern 500. He currently serves as a color comentator for NBC Sports, having joined them upon their return to their coverage of NASCAR. His son Harrison Burton currently competes in the ARCA Menards Series and part-time in the NASCAR Camping World Truck Series. His brother Ward Burton and his nephew Jeb Burton have also competed in the Monster Energy NASCAR Cup Series. Gregory Jack Biffle is an American professional stock car racing driver. He last drove in 2016, last driving in the No. 16 Ford Fusion for Roush Fenway Racing. After racing in the NASCAR Winter Heat Series in the mid-1990s, he was recommended to Jack Roush by former announcer Benny Parsons. He was the 1998 NASCAR Craftsman Truck Series Rookie of the Year. He won the 2000 Craftsman Truck championship. He reprised this progression in the NASCAR Busch Series, winning the 2001 Rookie of the Year, immediately followed by winning the 2002 championship. Biffle drove in the NASCAR Sprint Cup Series for Roush from 2003 until 2016, winning 19 races in the No. 16 Ford. He currently is an analyst for NBC Sports' show NASCAR America. Robert Reiser is a former crew chief and a general manager for Roush Fenway Racing. Reiser is the son of Alice and John Reiser, who served as general manager for Roush Racing's Busch and Craftsman Truck series race shops. David Lee Ragan is an American professional stock car racing driver. He currently competes full-time in the Monster Energy NASCAR Cup Series, driving the No. 38 Ford Mustang for Front Row Motorsports. The 2007 NASCAR Nextel Cup Series was the 59th season of professional stock car racing in the United States and the 36th modern-era Cup series. Beginning on February 10 at Daytona International Speedway with the Budweiser Shootout, the season ended on November 18 at Homestead-Miami Speedway with the Ford 400. The Chase for the Nextel Cup started with the Sylvania 300 at New Hampshire International Speedway and was contested over the final ten races. The 2008 NASCAR Sprint Cup Series was the 60th season of professional stock car racing in the United States and the 37th modern-era Cup season. It was contested over thirty-six races, and began on February 9 at Daytona International Speedway with the Budweiser Shootout exhibition race, followed by the 50th Daytona 500 on February 17. The season continued with the 2008 Chase for the Sprint Cup beginning on September 14 with the Sylvania 300 at New Hampshire Motor Speedway and concluded with the Ford 400 at Homestead-Miami Speedway on November 16. Richard Lynn Stenhouse Jr. is an American professional stock car racing driver. He currently competes full-time in the Monster Energy NASCAR Cup Series, driving the No. 17 Ford Mustang for Roush Fenway Racing. Stenhouse was the 2010 Nationwide Series Rookie of the Year, and won back-to-back Nationwide Series championships in 2011 and 2012. Stenhouse was the 2013 Sprint Cup Series Rookie of the Year. The 2006 Dover 400 was the twenty-eighth stock car race of the 2006 NASCAR Nextel Cup Series and the second in the ten-race season-ending Chase for the Nextel Cup. It was held on September 24, 2006 at Dover International Speedway in Dover, Delaware, before a crowd of 145,000. The 400-lap race was won by Jeff Burton of the Richard Childress Racing team who started from 19th position. Carl Edwards finished second and Jeff Gordon came in third. The 2004 Ford 400 was an NASCAR Nextel Cup Series race held on November 21, 2004 at Homestead Miami Speedway in Homestead, Florida. Contested over 267 laps on the 1.5 mile (2.4 km) speedway, it was the 36th and final race of the 2004 NASCAR Nextel Cup Series season. Greg Biffle won the race and Kurt Busch won the championship, both driving for Roush Racing. Founded in 1988, the NASCAR program is built around having multiple cars and providing engine, engineering and race car build services to other NASCAR teams fielding Ford branded vehicles. The multi-team aspect of the company allows for information and resources to be shared across the enterprise, improving the performance of all of the teams. Since the 2004 season, engines for the cars have been provided by Roush-Yates Engines, a partnership between Roush Fenway Racing and now-closed rival Yates Racing, with Doug Yates as head engine builder. Roush-Yates also provides engines, cars and parts to other Cup teams, including Wood Brothers Racing, Team Penske, Richard Petty Motorsports, and Front Row Motorsports. ↑ "Carl Edwards". TV Guide. CBS Interactive. Retrieved 2015-12-16. ↑ "Alumni / RBHS Alumni Hall of Fame". Schoolwires, Inc. Retrieved 2016-11-20. ↑ Baer, Rus (2011-11-20). "Carl Edwards: The hometown hero who never left – Columbia Daily Tribune | Columbia Missouri: Carl Edwards". Columbiatribune.com. Retrieved 2014-03-17. ↑ Pate, Josh (2008-05-02). "Multi-year contract keeps Edwards at Roush Fenway". NASCAR. Turner Sports. Archived from the original on 2011-06-04. Retrieved 2013-06-20. ↑ Blount, Terry (2009-04-27). "Seven fans injured in Edwards wreck". ESPN. Retrieved 2013-06-20. ↑ Rodman, Dave (January 15, 2012). "Edwards opts out of Nationwide Series in 2012". NASCAR.com. Turner Sports. Archived from the original on 2012-01-18. Retrieved 2015-11-22. ↑ "Standings | NASCAR Sprint Cup Series". NASCAR. Retrieved 2013-06-20. ↑ Associated Press (February 24, 2013). "Daytona 500 As It Happened: Jimmie Johnson Wins, Tony Stewart, Carl Edwards Caught In Early Crash". The Huffington Post . Retrieved February 27, 2013. ↑ Spencer, Lee (September 8, 2013). "Richmond restart being questioned". Fox Sports. Retrieved 2014-04-06. ↑ "NASCAR tweaks restart rules before Chicago race". Sports Illustrated . September 15, 2013. Archived from the original on 2014-04-07. Retrieved 2015-11-22. ↑ "CARL EDWARDS BEATS RAIN, FIELD AT BRISTOL". NASCAR . March 16, 2014. Retrieved March 16, 2014. ↑ "#99 Team News and Rumors". Jayski's Silly Season Site . Retrieved June 19, 2014. ↑ "Carl Edwards leaving Roush at end of 2014 season". AP News. Retrieved July 27, 2014. ↑ "Carl Edwards leaving Roush, mum on next stop". USA TODAY. Retrieved July 27, 2014. ↑ James, Brant (August 19, 2014). "Carl Edwards to join JGR in 2015". ESPN . Retrieved August 19, 2014. ↑ Jensen, Tom (January 10, 2017). "Exclusive: Carl Edwards won't race in 2017". Fox Sports. Retrieved January 10, 2017. ↑ Gluck, Jeff (January 11, 2017). "Satisfied Carl Edwards wants his health intact, more time with family". USA Today. Retrieved January 11, 2017. ↑ "2007 Prelude to the Dream". Racing-Reference. Retrieved May 17, 2015. ↑ "NBCSN PRESENTS "THE LAST RACE TO MAKE THE CHASE" THIS WEEKEND IN PRIMETIME FROM RICHMOND INTERNATIONAL RACEWAY". NBC Sports . September 9, 2015. Retrieved September 16, 2015. ↑ "NASCAR serves as vehicle for heist film 'Logan Lucky' starring Channing Tatum". USA Today. 9 October 2016. Retrieved 24 July 2017. ↑ Siska, Ellen. "NASCAR driver Carl Edwards stays in tune off the track", The York Dispatch December 11, 2006. ↑ "Carl Edwards Engaged". Drinkthis.typepad.com. 2010-02-24. Retrieved 2013-06-20. ↑ Simmons, Bruce (2008-10-19). "Kenny Wallace announces Edwards' Engagement". Nascar-bits.blogspot.com. Retrieved 2013-06-20. ↑ DeCola, Pat (June 7, 2016). "CARL EDWARDS AND HIS PRESIDENTIAL BLOODLINE". NASCAR . Retrieved October 13, 2016. ↑ Agency, PFP Sports Talent. "Carl Edwards Agent, Speaker Fees & Booking Information". www.playingfieldpromotions.com. Retrieved 2017-01-25. ↑ "Carl Edwards − 2009 Grand-Am Rolex Sports Car Series Results". Racing-Reference. Retrieved May 10, 2015. 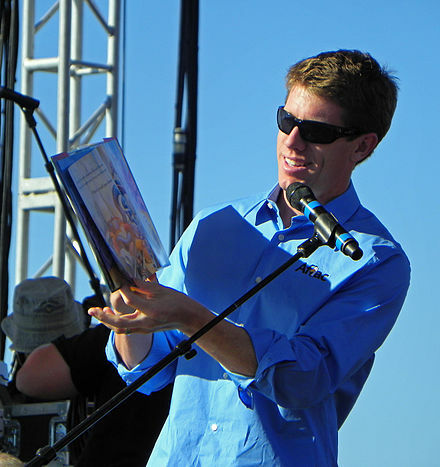 Wikimedia Commons has media related to Carl Edwards .